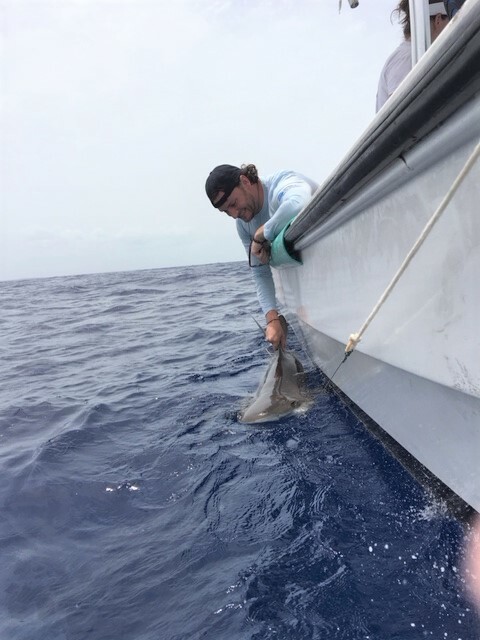 Elasmobranchs—the group of cartilaginous fish comprising sharks, rays, and skates—constitute a large percentage of pelagic longline bycatch both in the Atlantic and elsewhere. 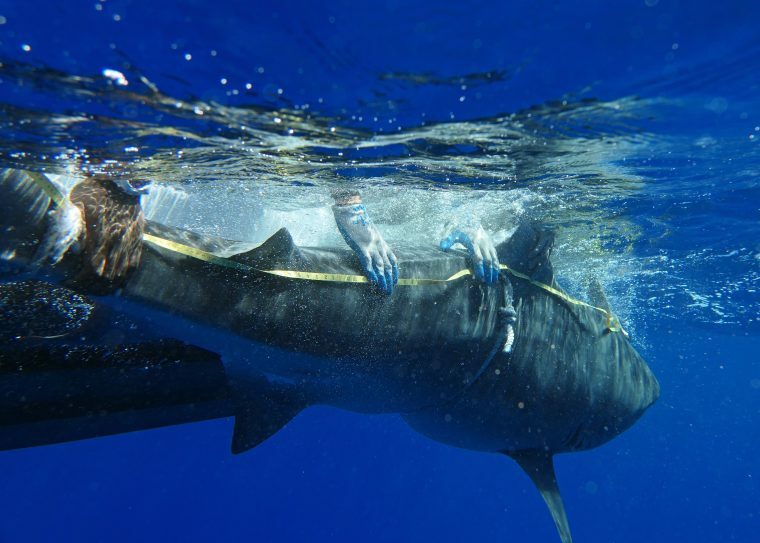 Shark bycatch sometimes even surpasses the percentage of target tuna catch in the Atlantic. 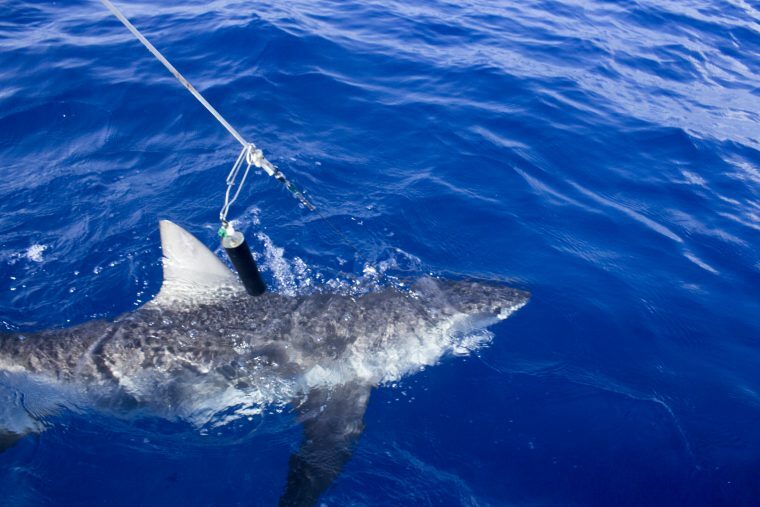 Bycatch is a major threat to sharks. It often leads to their death and poses a threat to many species and populations. It’s also a problem for fishermen; there is the immediate problem of decreased profitability because hooks that could be used to catch target species are occupied by unwanted non-target species. 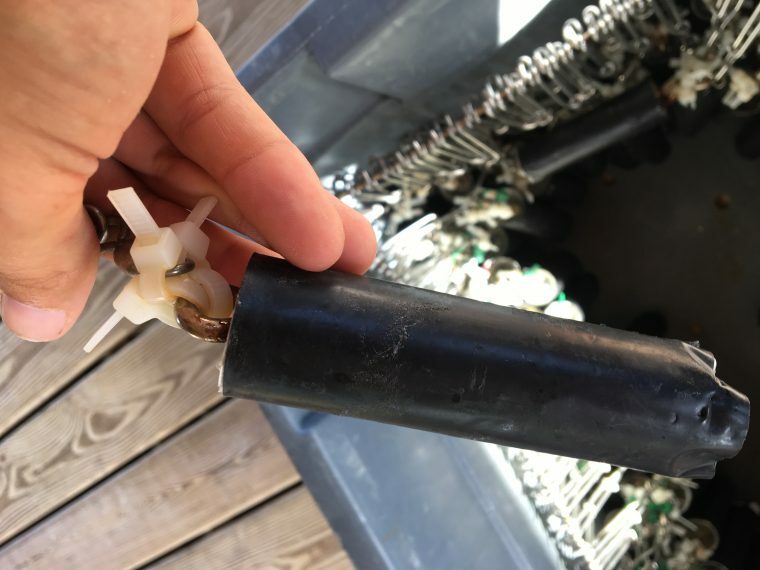 In addition, there is the cost of damaged gear bitten through by sharks and reduced profitability as a crew spends valuable time removing and handling the bycatch. Scientists recording data from field testing. The decoy they're examining has bite marks. 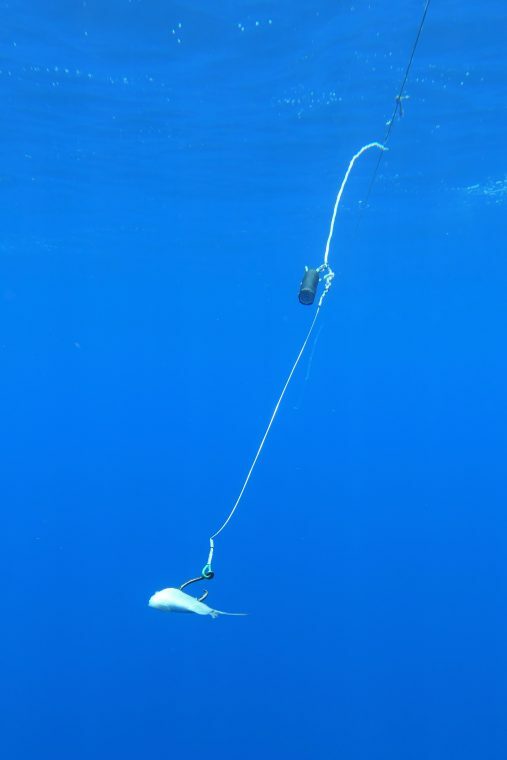 Rather than using electric stimuli to repel sharks, Anderson Cabot Center researchers are working with colleagues to determine if sharks’ natural attraction to electric stimuli can lure them to a separate target (“electric decoy”) and divert attention away from the bait. Right now, we are conducting experimental field trials that integrate electric deterrents in pelagic longline sets off the coast of Eleuthera Island, Bahamas. At each longline gangion the decoy is hung 75 cm above the baited hook. We alternated between devices emitting an electric signal and “dummy” devices without a signal that served as a control. The black decoy is on the longline. Bite marks on a decoy. When flipped upside-down, most species of sharks go into "tonic immobility," which is a sleep-like state that let's scientists easily study these animals. It does not cause stress to the sharks. This shark went for the bait, not the decoy. 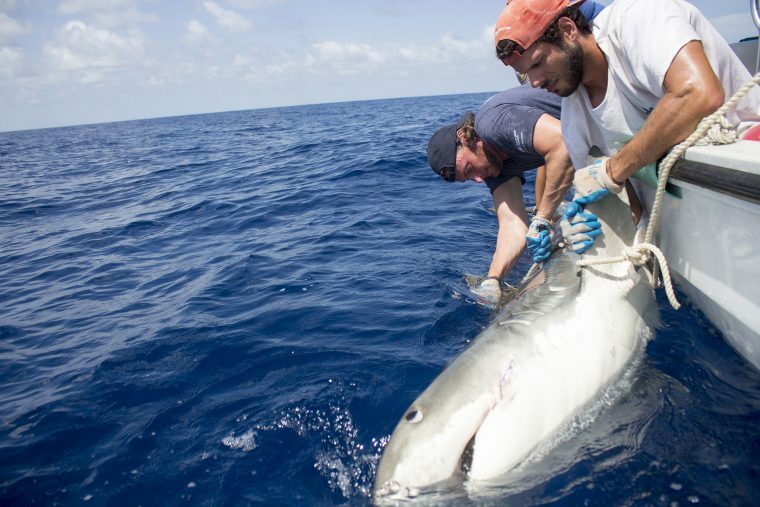 Scientists from the Anderson Cabot Center and the Cape Eleuthera Institute handle a shark during field testing. 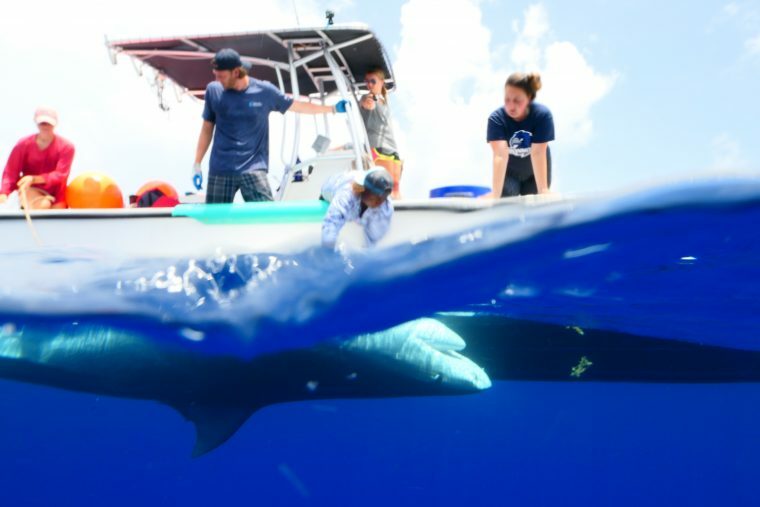 This study is being carried out using the Cape Eleuthera Institute as a base, which has allowed our devices to be tested in areas containing diverse and densely populated species of elasmobranchs. These species include: Caribbean reef shark (Carcharhinus perezii), tiger shark (Galeocerdo cuvier), nurse shark (Ginglymostoma cirratum), great hammerhead (Sphyrna mokarran) and Caribbean sharpnose shark (Rhizoprionodon porosus). 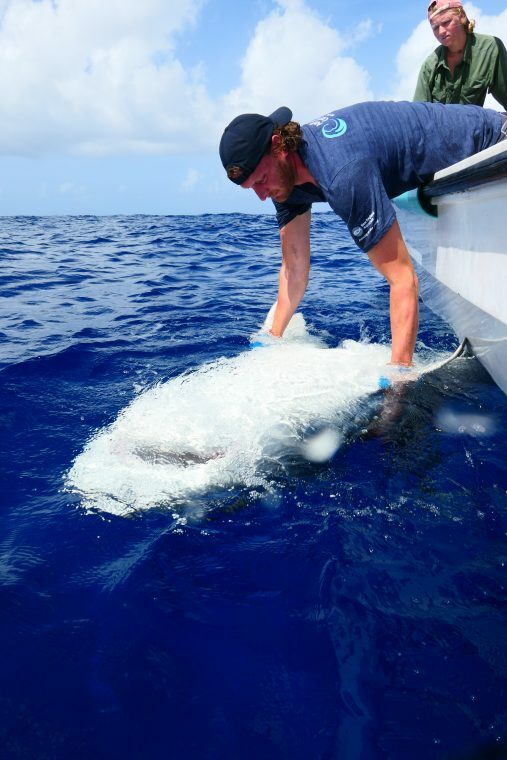 A researcher from the Anderson Cabot Center and the Cape Eleuthera Institute handle a shark during field testing. Project PI: Dr. Tim Werner (Anderson Cabot Center for Ocean Life at the New England Aquarium, Consortium for Wildlife Bycatch Reduction). 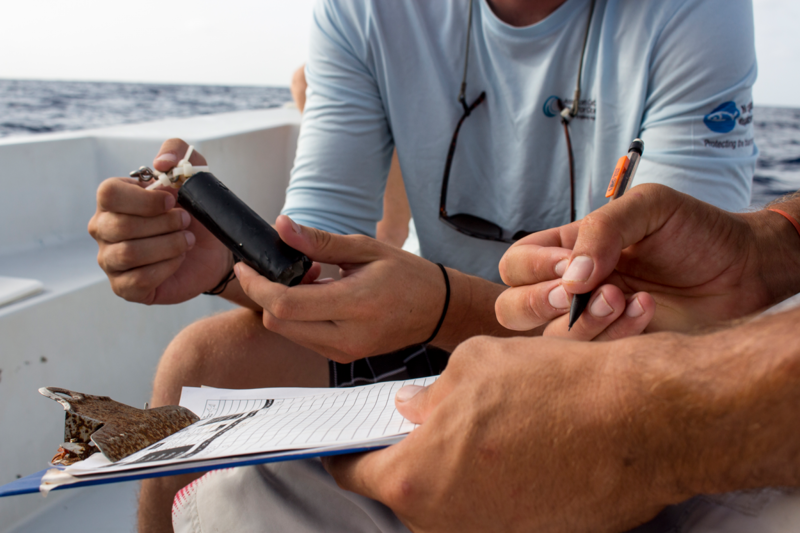 Project Partner: Dr. David Kerstetter (Nova Southeastern University). 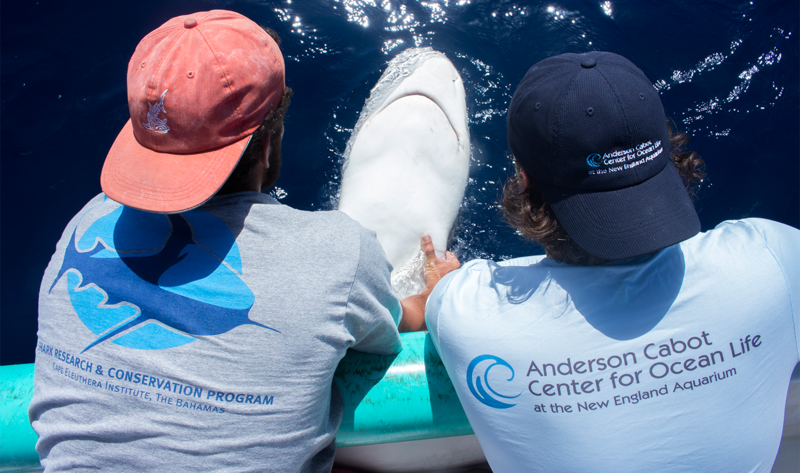 Research Personnel: Richard Malloy Jr. (Anderson Cabot Center for Ocean Life at the New England Aquarium, Consortium for Wildlife Bycatch Reduction); Brendan Talwar (Cape Eleuthera Institute).